Summer Brain Quest prizing and samples, along with blog sponsorship, were provided by Workman Publishing. All thoughts are my own. We’re in the middle of Spring Break, which for me as a parent is like a sneak peek of what summer break is going to be. It’s SO hard to keep kids from wanting to sit on the couch playing on their devices all day. I know I’m not the only mom who worries about the dreaded Summer Slide. It’s hard enough to keep my kids on task during the school year, but during the summer it’s nearly impossible for them to stay in “learning mode.” I worry each fall when they start a new school year that they will have forgotten everything! Did you know that most students lose about two months of grade level equivalency in math, and many also lose reading achievement, during the summer? That’s kind of scary! Imagine how much further ahead kids would be if they didn’t have to keep re-learning the same things that they learned last year? 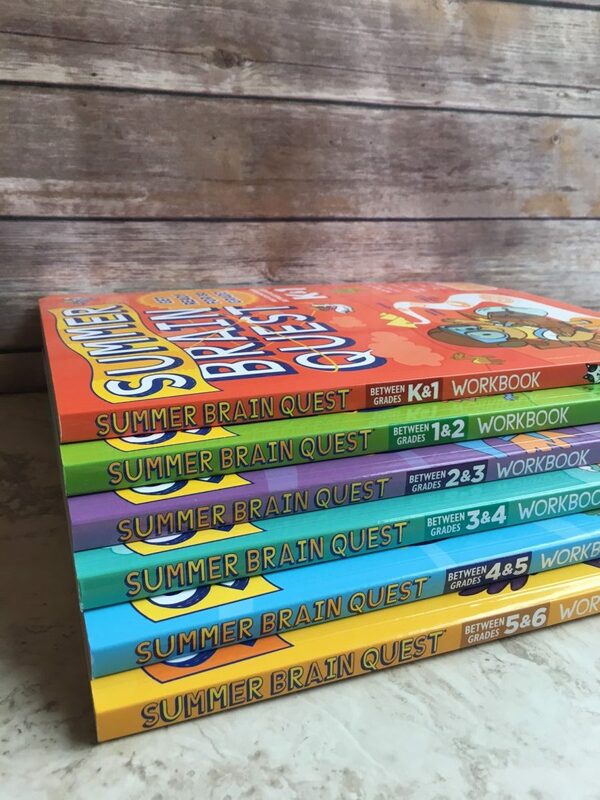 The brand new Summer Brain Quest workbooks, available April 18, are perfect for keeping kids learning throughout the summer and prepared for the new school year. 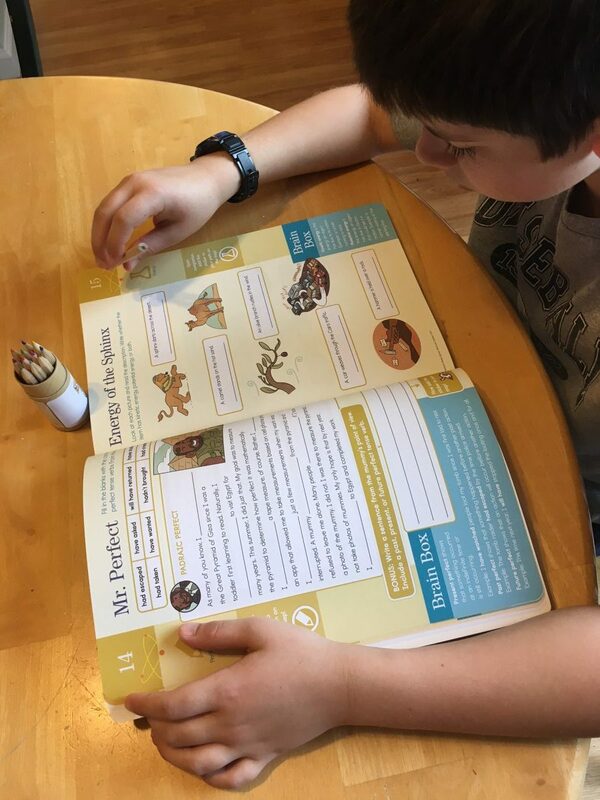 The best thing about the Summer Brain Quest books is that they make learning FUN and engaging for kids, and kids actually WANT to pick them up to read through them and fill them out. 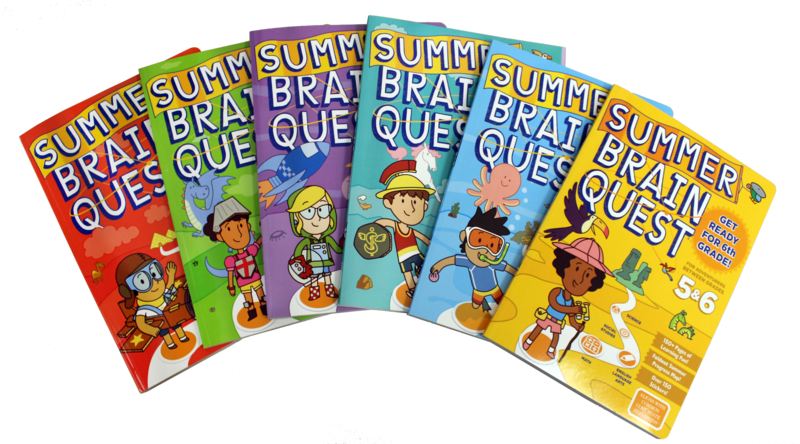 There are size Summer Brain Quest books: For kids between K-1, 1-2, 2-3, 3-4, 4-5, and 5-6. Each book includes over 150 full-color pages of learning activities, a foldout summer progress map, over 150 stickers and a thorough answer key to check answers. Each grade level book includes topics in math, English language arts, social studies, and science. The topics align with Common Core standards and, of course, they’re age appropriate. 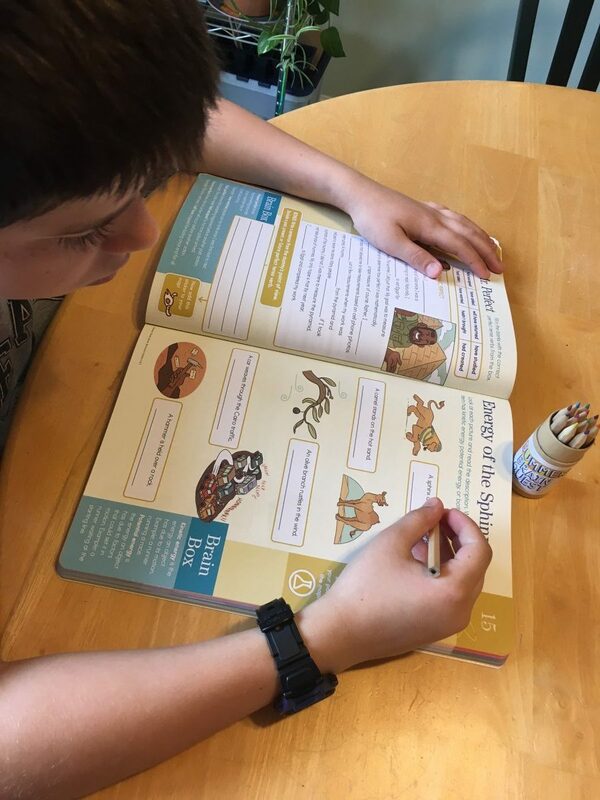 The Summer Brain Quest workbooks are effective new tools for parents, homeschoolers, tutors, and teachers alike. I wish I’d had these books for my kids when they were in elementary school! Luckily (for my friends, at least!) I’ve got friends with kids in elementary school so even though my kids are a little too old for the books, they’ll be well-loved and utilized. SUMMER BRAIN QUEST is notable because it offers a one-of-a-kind learning experience that delivers personalized learning for every type of kid. Personalized learning is an educational method where exercises are tailored to each child’s strengths, needs and interests. Our goal was to empower kids to have a voice in what and how they learn, while ensuring they get enough practice of the fundamentals. It achieves this through our interactive format. SUMMER BRAIN QUEST is structured like a game; each book includes a pull-out map that guides kids on a learning quest. They fill in their route on the map by earning stickers for completing workbook pages as well as pursuing outdoor activities. The map offers a choice of routes, allowing kids to customize their learning path and pursue what excites them most (extra math problems? more hands-on science? ), and also encouraging them to jump around within the book to follow their curiosity. Original artwork by video game artist Edison Yan makes every book feel fresh and fun. These are the most visually appealing books in the market. Summer Brain Quest workbooks are available for pre-order on Amazon. 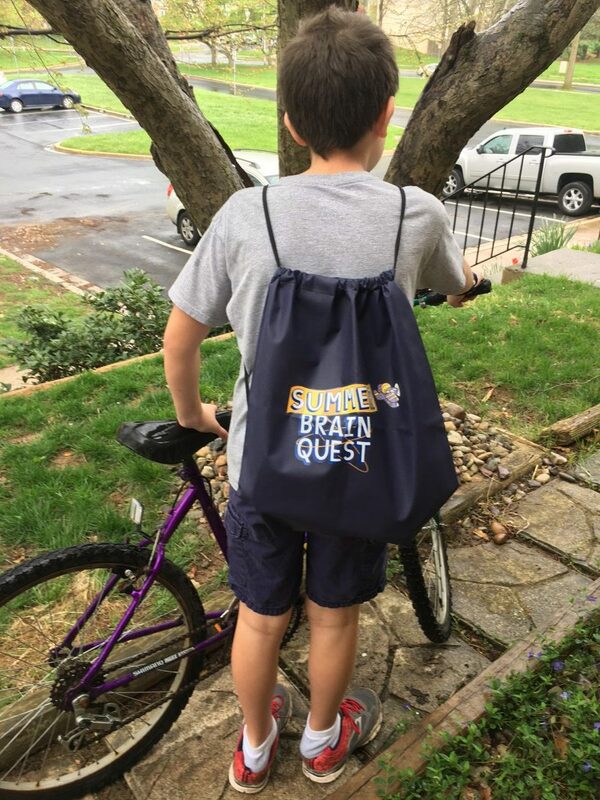 WIN a Summer Brain Quest Prize Pack! 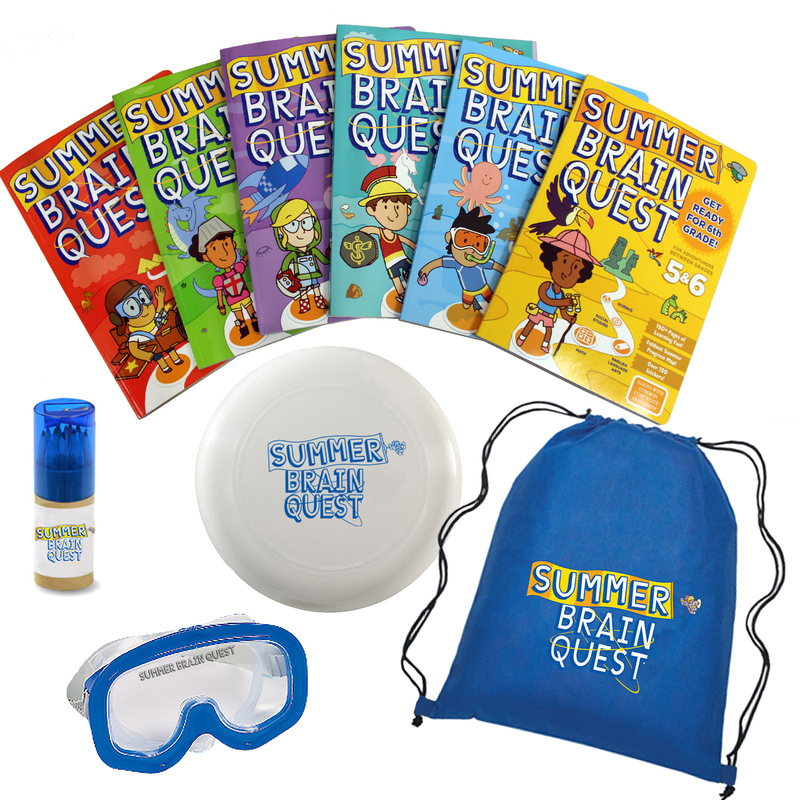 One lucky winner will receive a Summer Brain Quest prize pack with everything listed below! Just enter on the giveaway widget! Giveaway ends 4/25/2017, after which a winner will be selected at random and notified via email. Prizing and samples provided by Workman Publishing. Giveaway open to US addresses only. Find things your kids are interested in. Because my son is obsessed with video games, I have given him books to learn coding to make his own video games. We make weekly park and pool dates to keep us active. One of our best tips that we use every year is to go to the local library and take part in their summer activities. We try to make it a big deal in our home so the kids are reading and having fun. We go to the library often to keep them reading. I like to take my kids to museums and historic sites to keep them learning. We are fortunate to have lots of history in community, so we do a lot of day trips and activities throughout the summer! My best tip for learning during the summer is make learning fun! You can incorporate learning into many outdoor activities-practice math facts and sight words with sidewalk chalk, do science experiments in the yard, write a journal about a summer trip, visit the library and learn about something new, and research your town’s history. So many things to do to keep your kids interested. These books would be great to have for my sons! We do flash cards three times a week and do activities like going to museums. We visit the library and have a summer reading list. The summer reading program at the library has always been something we’ve loved.